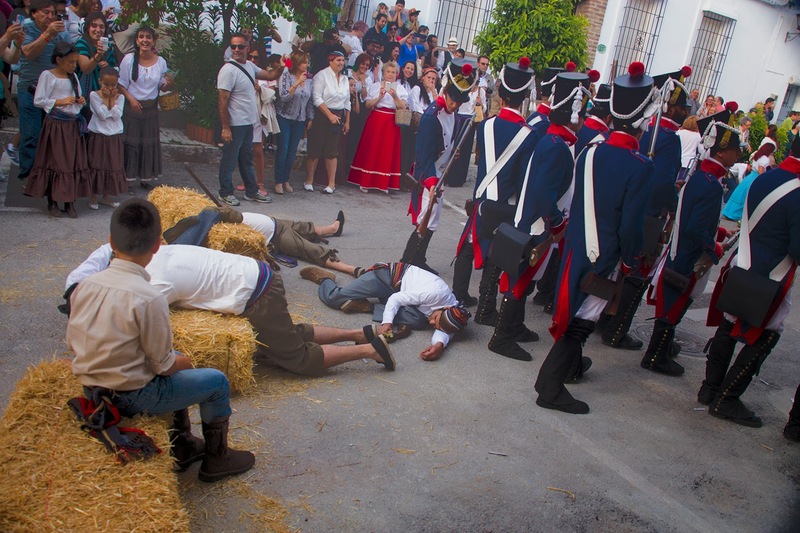 Starting on May 9 Gaucin, our Pueblo Blanco in Andalusia, reenacted the sacking of the village by Napoleon’s troops in 1810 and the subsequent peasant uprising of 1812 called La Toma which the drove the French from the town. Just two years later the French were chased out of Spain for good. 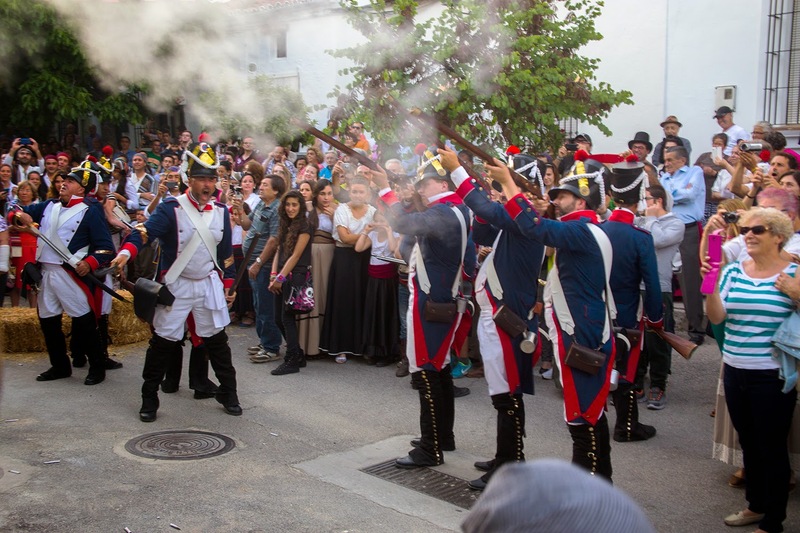 Each year the citizens of Gaucin and surrounding towns reenact the French takeover and their overthrow on a spring weekend. It’s some fiesta. It’s like celebrations of Paul Revere’s 1776 ride and the shot heard round the world in Concord, Massachusetts but with more revelry. That’s Spanish for drinking. There's one hell of a lot of frivolity given the carnage. 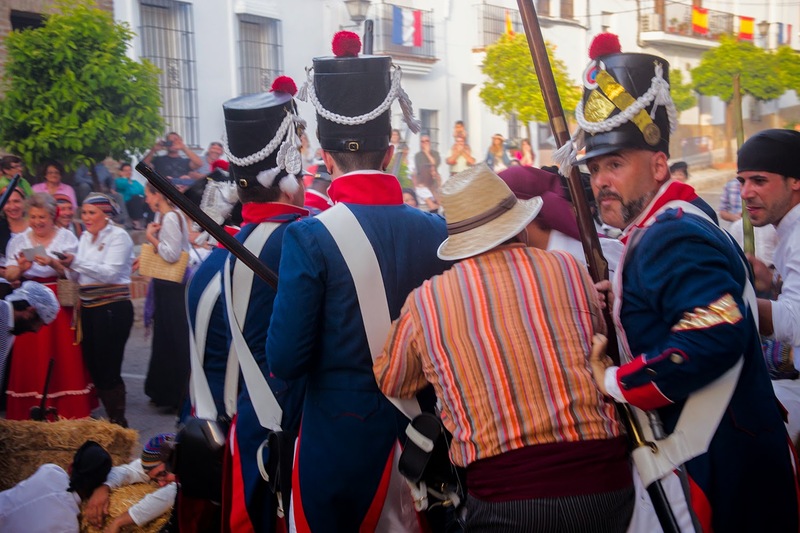 Like the reenacters of the Revolutionary and Civil Wars, their Spanish brethren, especially those playing French soldiers, have spared no expense in acquiring period specific regalia for the big battle. 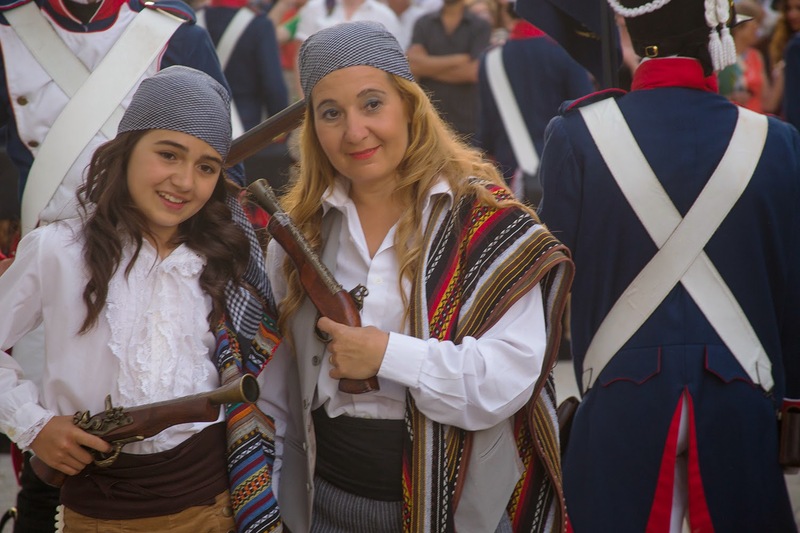 These players belong to the Napoleonic Association of Abuera. Who knew such a thing existed? 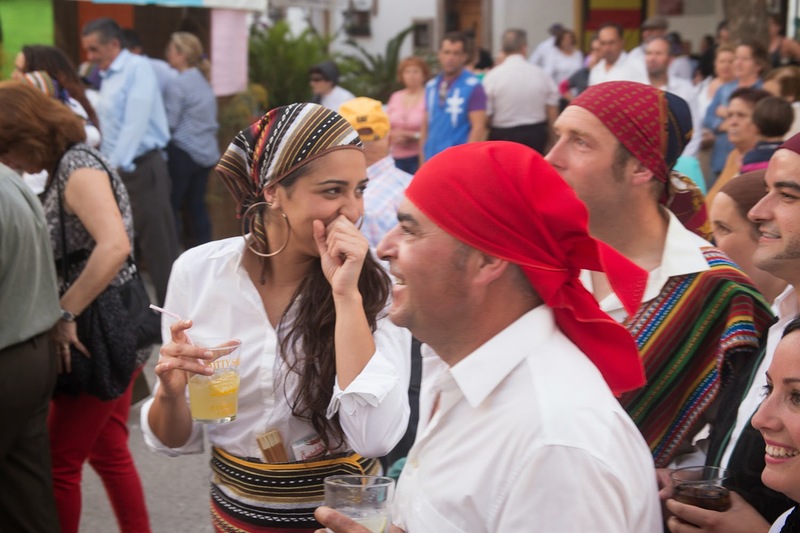 The rebels are played by men and women from Gaucin and Ronda and their costumes are more modest. They are after all peasants. This is a terrific sequence, Steve. I absolutely love the very spontaneous photograph of the couple who are portraying peasants, as well as the action scenes. Great color, great intensity. You may be missing the interior weeks, but this is faux war reporting at its best. I truly feel evaluating white and black digital photography with it's movie counterpart is much like evaluating apples with grapefruits. They only usually are not the same in look and feel. I reviewed this at length in part 1 of the collection. this link When speaking with professional photographer Hellen Truck Meene she identify film as experiencing "wonder". Now I'm unclear precisely what the techical word for wonder is but creatively I understand just what Hellen means.